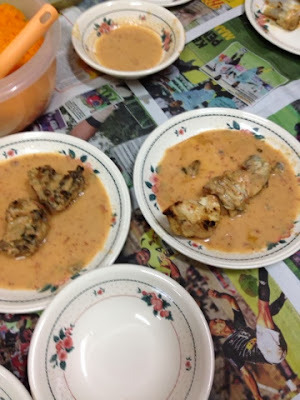 Today's dinner is ayam percik. 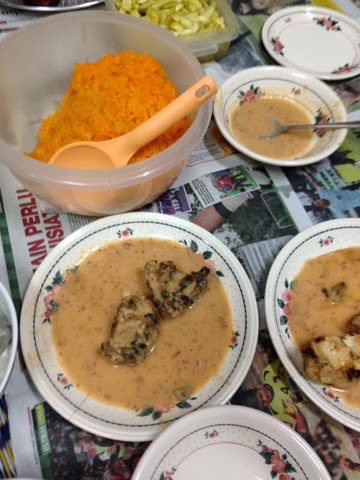 I've been craving this food for such a long time so my wife's grandma invited us to one of her daughter's house in KL to eat ayam percik. Her ayam percik taste good. 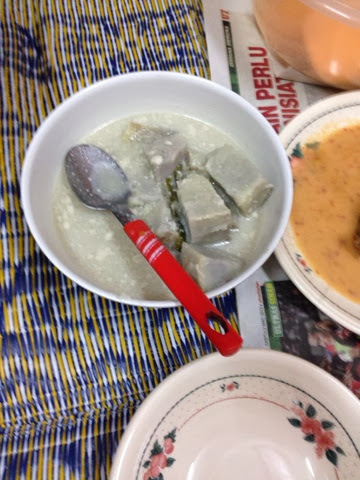 Besides ayam percik, she made pulut and pengat ubi kayu. I ate 4 ayam perciks. It so delicious. Hehe. I really enjoy today's dinner. It's simply sedap!